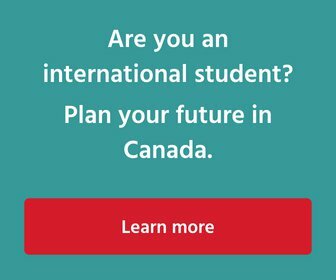 The table below provides an updated overview of the various Canadian immigration options for international students and graduates in Canada. To learn more about any of these programs, including full eligibility criteria and application process, click the program/category name in the second column. If you have any questions about applying for Canadian permanent residence, please contact us. Is a job offer required? Canadian Experience Class Yes No Graduates may become eligible after working in Canada on a Post-Graduation Work Permit. Federal Skilled Worker Class Yes No Previous study in Canada is worth 5 points towards eligibility. Quebec Experience Class (PEQ) No No Eligible individuals may apply at any time from 6 months before graduation, up to 36 months after graduation; must prove ability in French. Quebec Skilled Worker Program No No Higher education is a significant factor in the points matrix; previous study in Quebec may be worth up to 5 additional points. Note: this category is currently closed to new applications, except for cap-exempt individuals. No Yes Not restricted to graduates of BC institutions, graduates of institutions across Canada may apply; category operates under Expression of Interest system called SIRS; Post-secondary education completed in BC is worth 8 SIRS points; Post-secondary education completed in Canada (outside BC) worth 6 SIRS points. Yes Yes Not restricted to graduates of BC institutions, graduates of institutions across Canada may apply; category operates under Expression of Interest system called SIRS; Post-secondary education completed in BC is worth 8 SIRS points; Post-secondary education completed in Canada (outside BC) worth 6 SIRS points. No No For individuals who have obtained a master’s or doctoral degree in the natural, applied or health sciences from a BC institution. Yes No For individuals who have obtained a master’s or doctoral degree in the natural, applied or health sciences from a BC institution. No Must be working for Alberta employer at time of application. Graduates from an eligible post-secondary educational institution in Alberta, and who are working in Alberta on a Post-Graduation Work Permit, may apply. No Must be working for Alberta employer at time of application. Applicants must have completed a certificate, diploma, or degree, or completed a graduate level program from an AINP-approved institution OR a publicly funded community college, trade/technical school or university in another Canadian province or territory. No Yes Must have attended an institution in Manitoba (language programs are excluded), except for graduates from a post-secondary program in another province who have been working for a Manitoba employer for at least one year. Candidate must have a full-time job offer from an eligible employer in Manitoba. Interested candidates must have completed a Mitacs Elevate or Accelerate internship and must attend an MPNP information session before submitting an Expression of Interest to the program. No No This is an entrepreneur immigration stream that provides up to 20 international students, who have completed a full-time post-secondary program in Manitoba, the chance to pursue entrepreneurship in the province. Graduates of post-secondary institutions in the Atlantic provinces can apply. No work experience is required. Applicants require a two-year post-secondary diploma from a publicly funded learning institution in the Atlantic region. Application must be submitted within 12 months of obtaining the diploma. Must demonstrate level 4 of the Canadian Language Benchmark (CLB) in English or the Niveau de compétence linguistique Canadien in French. Employer must be designated by the province where the job is offered. Yes No Graduates of New Brunswick educational institutions are prioritized, and previous study in New Brunswick is worth 5 points towards eligibility. No Yes Graduates must have a job or job offer from a Newfoundland & Labrador employer, and must apply while they still have at least 6 months' validity on their Post-Graduation Work Permit; graduates of eligible publicly funded colleges or universities across Canada may be able to apply. Yes Yes Previous study experience in Newfoundland & Labrador is worth 3 points towards eligibility. Yes No Previous study experience in Nova Scotia is worth 5 points towards eligibility; a spouse/common-law partner's previous study experience in Nova Scotia is worth 5 further points. Note: this category is currently closed to new applications. 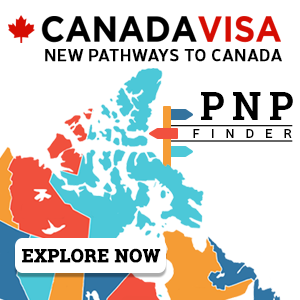 Yes No Candidates must at least 12 months full-time (or an equal amount in part-time) paid skilled work experience in Nova Scotia in the three years before the application is made, providing an opportunity for graduates who obtain a Post-Graduation Work Permit after studying in Canada. No No Open to recent graduates of Nova Scotia post-secondary institutions who have already started or purchased a business in the province; operates on an Expression of Interest system. No Yes Graduates of a full-time degree or diploma program at an eligible publicly-funded Canadian college or university that is at least 2 years in length, or a 1-year post-graduate certificate program that requires a previous degree in order to qualify, may be able to apply; open to eligible candidates whose job offer has been approved through the Employer pre-screen process. No No Graduates of a full-time Master's course at an eligible university in Ontario that is at least 1 year in length may be eligible. This stream is expected to open and close intermittently throughout 2017. No No Applicants must have completed at least two years of PhD studies at a university in Ontario. This stream is expected to open and close intermittently throughout 2017. No Yes, in field of study. This employer-driven stream allows PEI employers to hire recent graduates from recognized PEI universities and colleges. No Yes Graduates with a certificate, diploma, or degree from a recognized post-secondary educational institution in Saskatchewan may be able to apply.